On Twitter there’s the retweet button. Facebook has the share icon. On Instagram, nothing. To date, users have had to get creative in their attempts to repost content from other accounts on to their own timelines. Some used third-party apps that were just as good, sometimes better, at stealing data and hijacking accounts as they were at actually sharing content. Others just downloaded or screenshotted the original, and then republished it to their own feed — hopefully with a citation to the original. For years, though, Instagram users have been asking for a native share feature, just like those available in other popular social networks. And now, according to a scoop by The Verge, it seems they might actually get it. The feature is known internally as “seamless sharing,” according to The Verge’s Casey Newton, and it introduces a new “share to feed” option that appears in the top-right of every post. Reshared posts appear much like retweets, with the original content nestled below the name of the person who shared it. 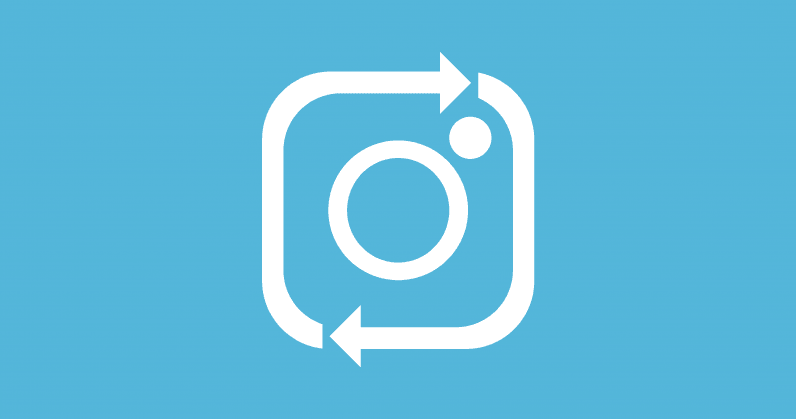 Our request for comment to Instagram was answered by a spokesperson who told us “This is not something we are building or testing,” although we did speak with sources familiar with the feature who confirmed its existence. According to The Verge, which obtained two screenshots of the new feature, it’s looking pretty rough in its current form. It’s clear that any work on a “regram” feature is in its early stages. We debate the re-share thing a lot. Because obviously people love the idea of re-sharing content that they find. Instagram is full of awesome stuff. In fact, one of the main ways people communicate over Instagram Direct now is actually they share content that they find on Instagram. So that’s been a debate over and over again. But really that decision is about keeping your feed focused on the people you know rather than the people you know finding other stuff for you to see. And I think that is more of a testament of our focus on authenticity and on the connections you actually have than about anything else. No word on when we might see the new feature, or even if it’ll make it out of the testing phase. But, fingers crossed.